There are many different types of games on the market for many different types of people. So, what designates which games can be played together, and which can not? We at Co-optimus.com tend to preach friendly co-op gaming, and notice many of the single player games out there feel somewhat cheated out of a quality co-op experience. 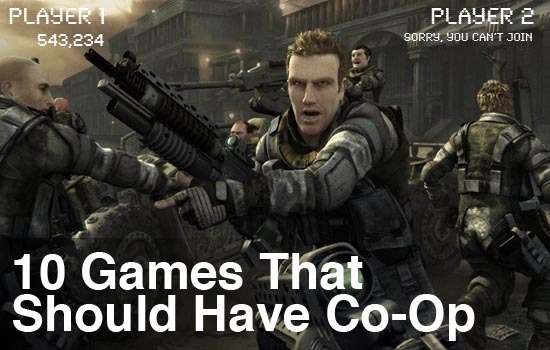 Some games had co-op left on the concept floor, cut out in the final stages, or some that seem to have missed the co-op boat completely. This is the Co-Optimus list of games that we feel could really use co-op for an improved gaming experience. I wouldn't have fallen out if you were there to catch me! The main storyline in Fallout 3 follows a child growing up in an isolated "vault" settlement established after the nuclear Fallout that all but doomed mankind. Suddenly thrust in to the ruined post-nuclear-fallout world in search of their father, it's up to this now-grown-child to solve the mysteries of that vault and their fathers experiments. This child can be male, or female, of any race. This could have very easily had a few minor changes for co-op, that would not have altered the storyline much at all - something like siblings, or even twins growing up together. Co-op could have allowed players to flank enemy areas to clear them out more effectively, balance classes and powers, and even interact with in game characters with different approaches. Wait, so there's three of us and only one of them? Managing a teams armor and stats can be great, but we're all guilty of ignoring one or two characters for the sake of our favorites. 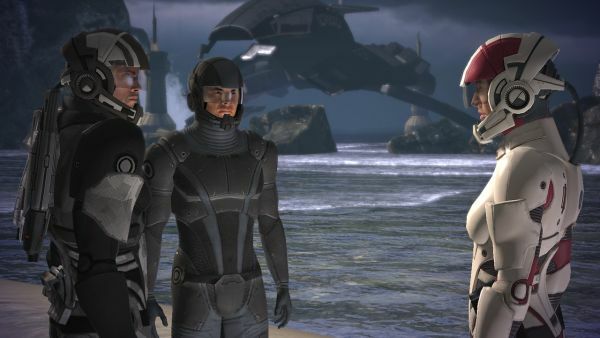 Mass Effect didn't have as many team mates as some other similar games, but three primary characters could have been a wonderful three-player-co-op experience. Tweaking those stats to bring each character to their full potential, and coordinating attacks with a friend to do the most damage in the least amount of time. Customizable main characters could have added a new spice to this game, with the added blight of sexual tension, or fighting for the spotlight! Branching out a bit from shooter game co-op, leveling up individual characters and personalization would certainly add to an already amazing experience. You wouldn't have many friends wearing this outfit either. Links formula for the last 20 years has been 'underdog beats the odds to save the princess', rinse and repeat. Link has even had computer assistance in the form of an irritating fairy, and a trickster dubbed Midna. In Wind Waker players were even able to hook up a GBA and control Tingle, hardly an ideal situation though. 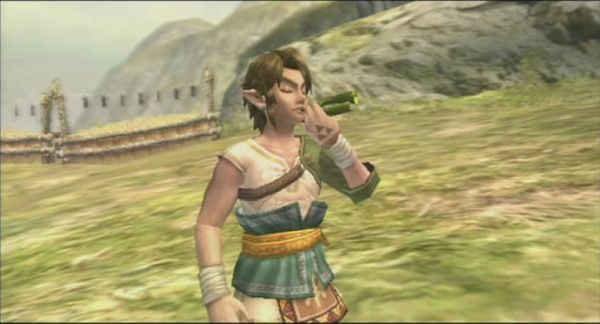 The one thing Link is missing, is the co-op aspect where a second player does some exploring to help Link out, or a backup character to cover his tail while Gannondorf gets ready for round 9. Mario had a helpful star on the Nintendo Wii, so why doesn't Link at least get a helpful fairy who can go explore areas that Link can't get to? Or, his very own Icarus that doesn't quite steal the spotlight, but offers enough support to be considered Co-op? The Legend of Zelda: Four Swords did the co-op very well why not bring it to his big brother? Page created in 0.5318 seconds.